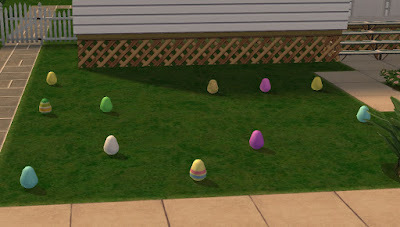 In anticipation of the upcoming Easter holiday I've created some decorative yard eggs to brighten your sim's lawns. I've included the mesh (white), 3 textured recolours and 5 solid colour recolours. Price is 1 simoleon found in decorative/miscellaneous. Enjoy!